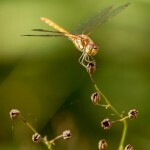 Dragonflies are large flying insects of the suborder Anisoptera in the order Odonata. 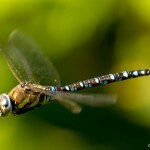 They have two pairs of wings, a pair of large compound eyes and long elongated bodies. 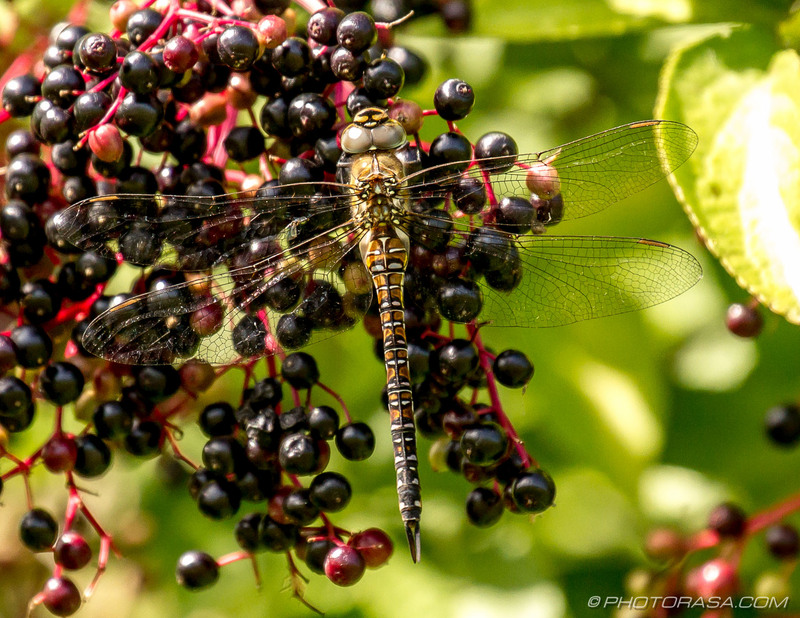 They are a common insect all over the world, populating every continent except Antarctica. 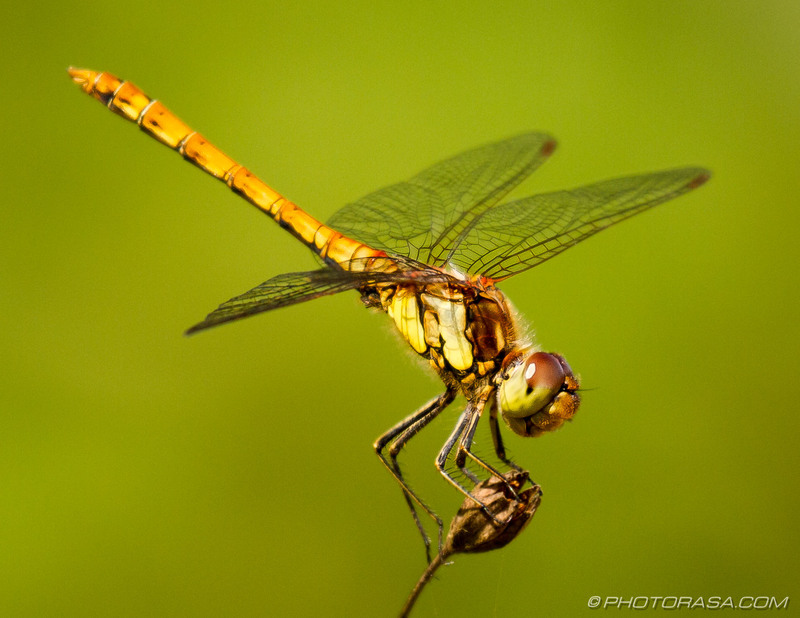 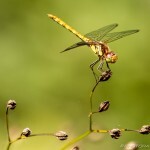 Dragonflies are closely related to Damselflies and both are the only members of the order Odonata. 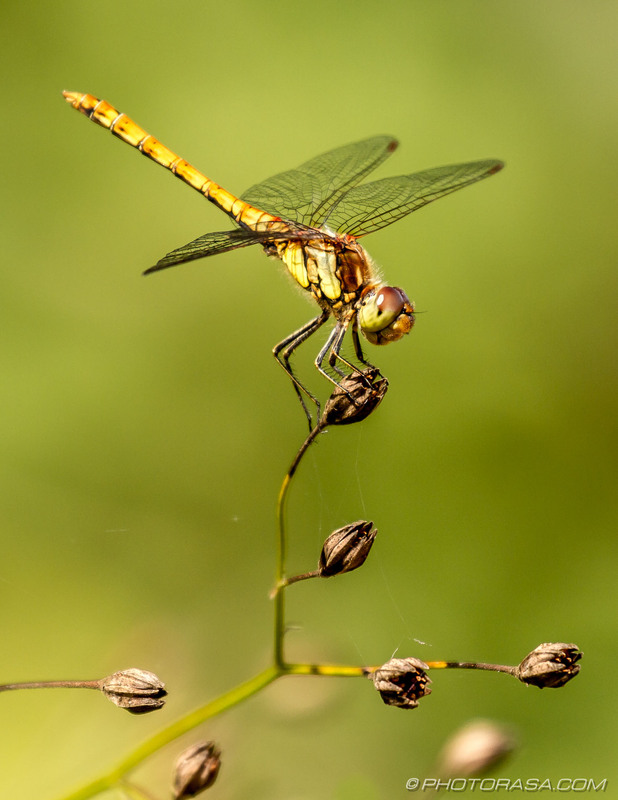 Odonata means “teeth” in Greek, a reference to the fact that all insects in the order have teeth on their mandibles and are carnivorous. 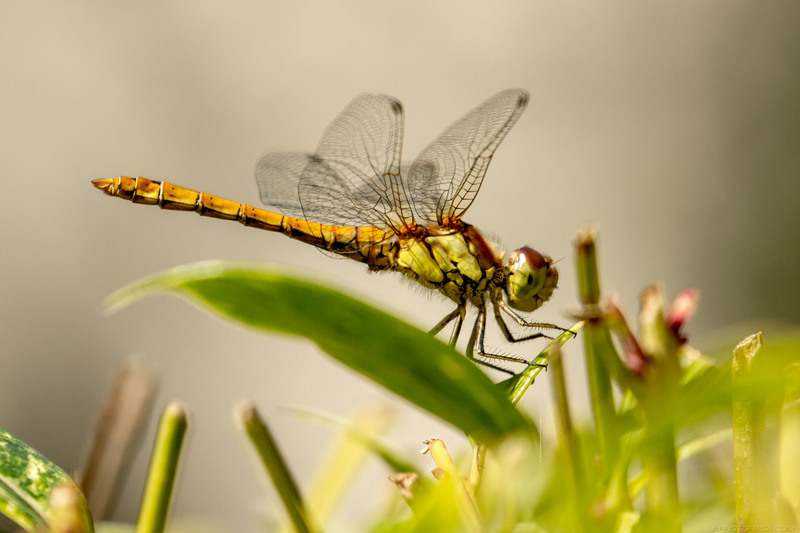 Dragonflies are similar to damselflies in appearance but tend to be significantly larger with an average body size of about 10 centimetres and a significantly larger wingspan. 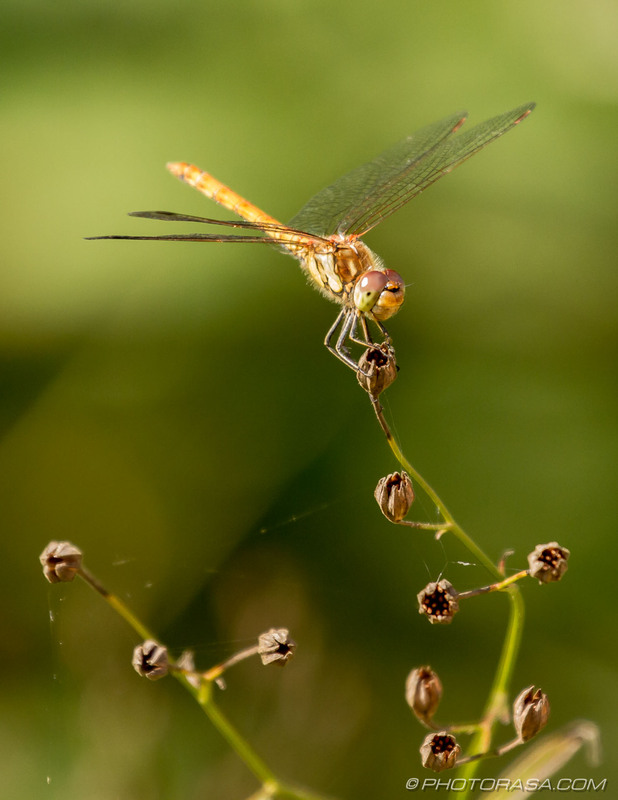 Dragonflies are also stronger fliers, quickly able to change direction, darting one way and the other and then stopping on the spot and hovering with ease. 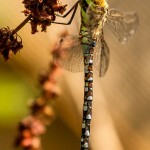 Damselflies on the other hand have a weaker, more fluttery flight pattern. 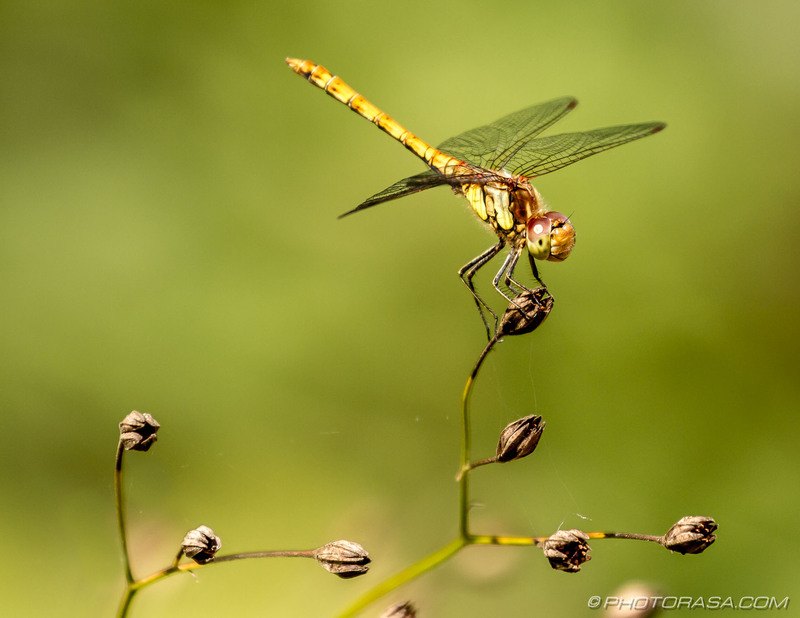 Dragonflies usually keep their wings open and perpendicular to the body when at rest. 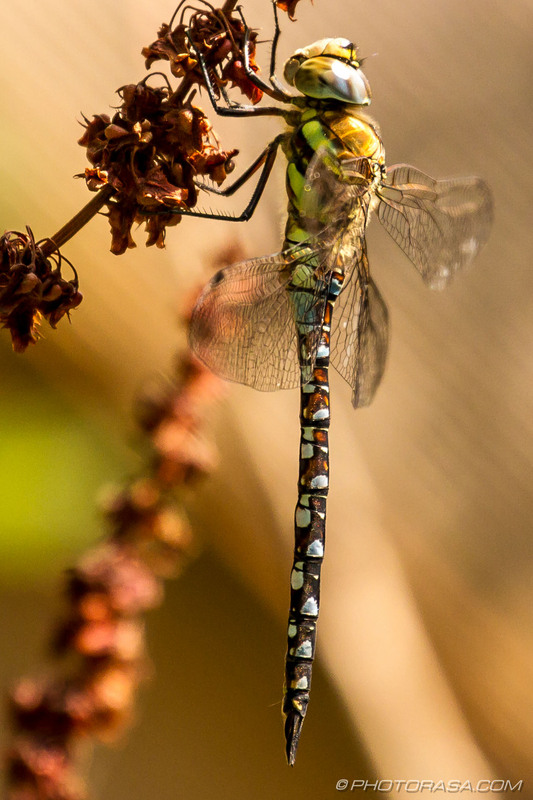 The large majority of Damselfly species differ in this respect, keeping their wings folded and close to their bodies when at rest. 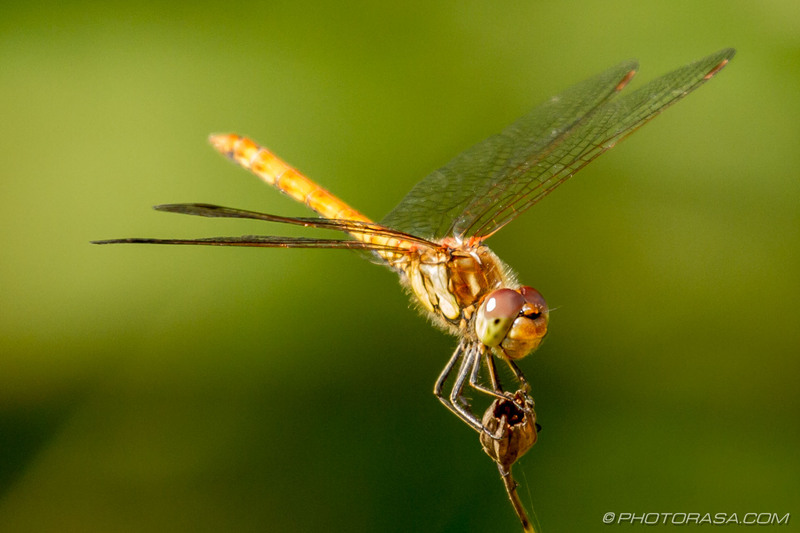 Dragonflies have much larger eyes than damselflies. 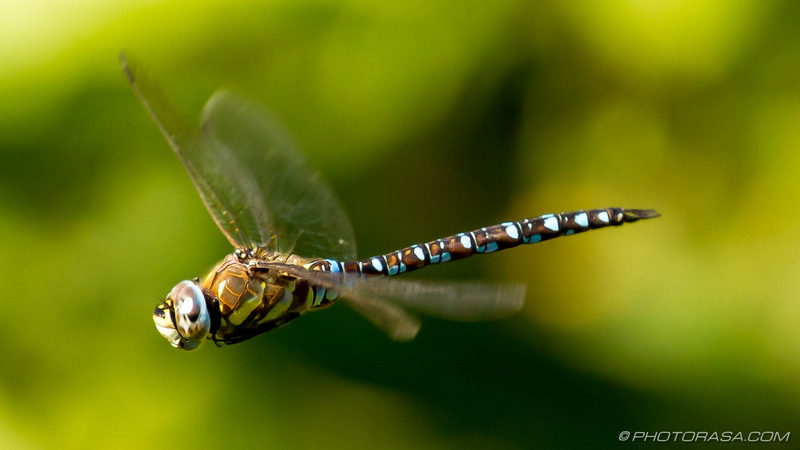 The two compound eyes cover most of the left and right hemispheres of their heads. 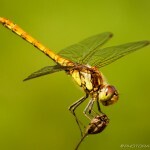 They offer an almost 270 degree view of the dragonfly’s environment, both horizontally and vertically. 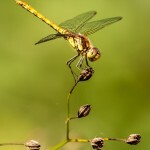 Dragonfly colonies generally require some form of water to be present. 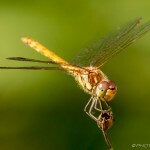 This is because the female dragonfly needs to place her eggs in water for them to hatch. 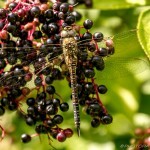 The immature dragonfly or nymph then requires water to grow and undergo metamorphosis into its adult state. 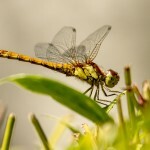 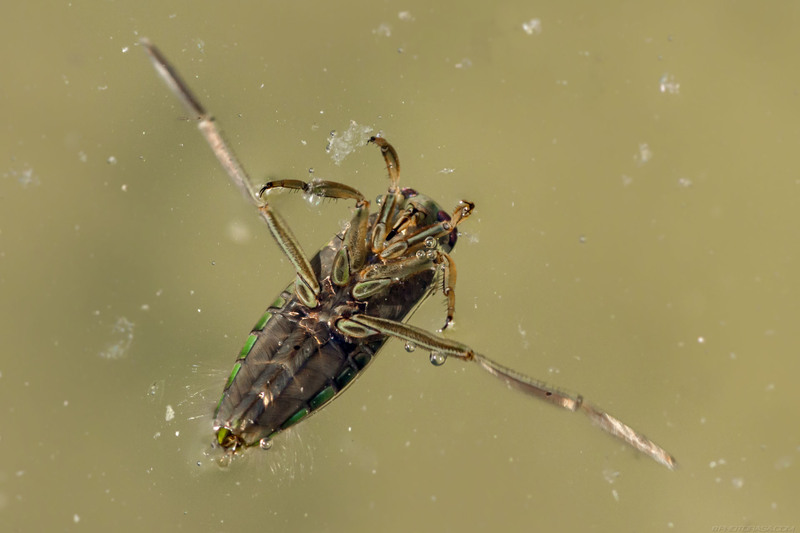 These wet habitats also provide a steady source of food for the carnivorous dragonfly, thanks to the abundance of other insects and flies that also need to live near water.